These women have shown female athletes as well as the labor movement what winning looks like. “First they ignore you, then they laugh at you, then they fight you, then you win.” This quote, attributed to Mahatma Gandhi, can always sound like the hoariest of clichés until you actually see it in action. Then it reads like a blueprint. 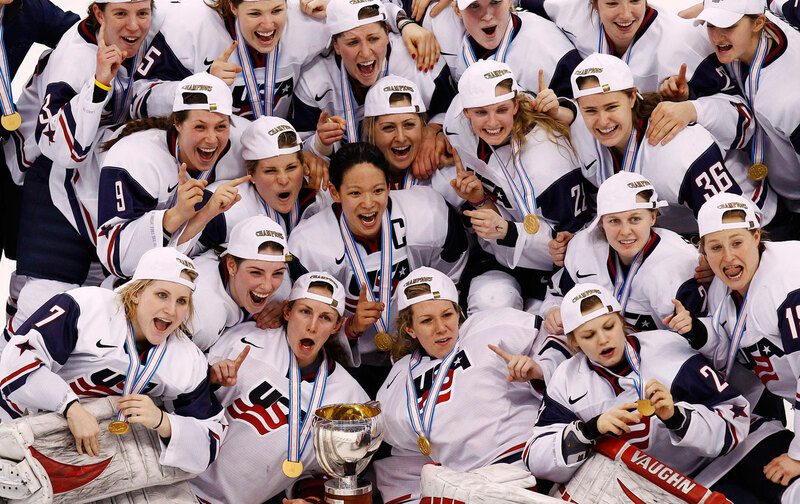 The demands of the USA women’s hockey team were ignored, mocked and fought tooth-and-nail by USA Hockey. Yet they answered every challenge and they won. They went on strike and held the line until the last possible moment, less than 70 hours before the World Championships in Michigan. They went public with their demands, building a groundswell that inspired solidarity from every sports union, male and female, in the United States as well as 16 US Senators. They had won seven of the last nine World Championships and were willing to sacrifice that for the basic idea that being a full-time athlete and being paid like a part time employee was no longer going to cut it. But it was bigger than wages. The fact that the team is so unified from top to bottom makes the fight possible. The rally of support through social media and print and television media has showcased how there is a deep need for change. It is highlighted by the imbalances that still haven’t changed. The team wasn’t asking to get rich—what they wanted (and what USA Hockey finally agreed to) was financial support for giving their full dedication to the program. They also want to grow the game through exposure on television and media. Providing them more big stages to do just that, outside of the Olympics, world championships and Four Nations Cup, will help that cause. These things have been long overdue. The wages, which were a four-figure pittance, will now be $70,000 per year with bonus opportunities for Olympic and World Championship victories. There will now be a $950,000 “compensation pool” for players (think back-pay). Everyone on the team will get a pre-bonus base salary of $4,000 per month, quite a boost from the old rate of $6,000 a year, every four years (wages for “Olympic training”). The USOC also stepped up with $750 to $2,000 per month based on a player’s experience. For the first time, they will get the same amount of meal money as the men’s team—a $50 per diem on non-travel days. Before this, the women’s per-diem was about $24. For the first time, their travel accommodations and insurance will be equal to the men as well. Most importantly for the team, there will finally be a committee aimed at developing youth hockey for girls, and greater promotion for the women’s game.